Check out some of the amazing products below that the Babeez team loves! 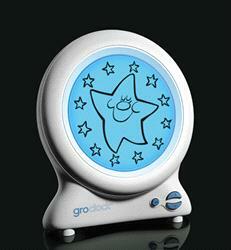 For toddlers 2 years and up a great transition from white noise is the Gro Clock. This little clock can be set by parents for a specific wake up time. The clock will show the the moon & stars picture overnight and as morning approaches, the picture changes to good morning sun. What a great way for your child to know when it is wake up time! Safe sleep is the #1 concern for new parents. Keeping the crib a safe place for a new baby is a growing priority. SIDS does not recommend the use of bumper pads due to improper air flow, possible smothering of the baby and strangulation or entanglement. However, fear of baby getting arms and legs stuck in the slats of the crib is also a concern. A great new product is the Breathable Bumper. 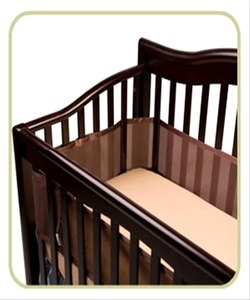 This bumper allows for proper air flow in the crib and even if baby does scoot up against the bumper, the breathable mesh will not block air from getting to your baby. A great solution! Note: once your baby is crawling and pulling up it is no longer safe to use these. Most parents aren't quite sure how warm or cold their babys room should be. We often tell parents that your babys room should feel comfortable. If you are full dressed and are feeling warm, then your baby will probably feel warm if in a full pj as well. If you are ever not sure caution on the cooler side. Its better the room is a bit colder then to be too warm. 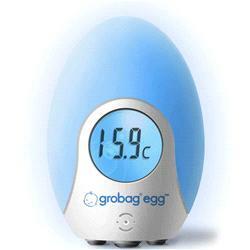 A great new tool for parents in the Grobag Egg thermometer. This little gadget changes colow as it monitors your babys room tempertaure. The color of the egg changes as the room gets warmer and the soft light also provides a nice soothing light for babies room. Creating the perfect sleep environment can be a challenge. But with the Gro Anywhere Blind, the process becomes much easier. This portable blackout curtain is perfect for taking with you to the cottage or to use in babys room as a temporary inexpensive solution. 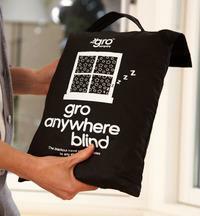 The versatile Gro Anywhere Blind has been designed to 'go' anywhere with you, and can be put in place in minutes. Attaches directly to the glass using suction cups, ensuring a close fit that really does block light properly.